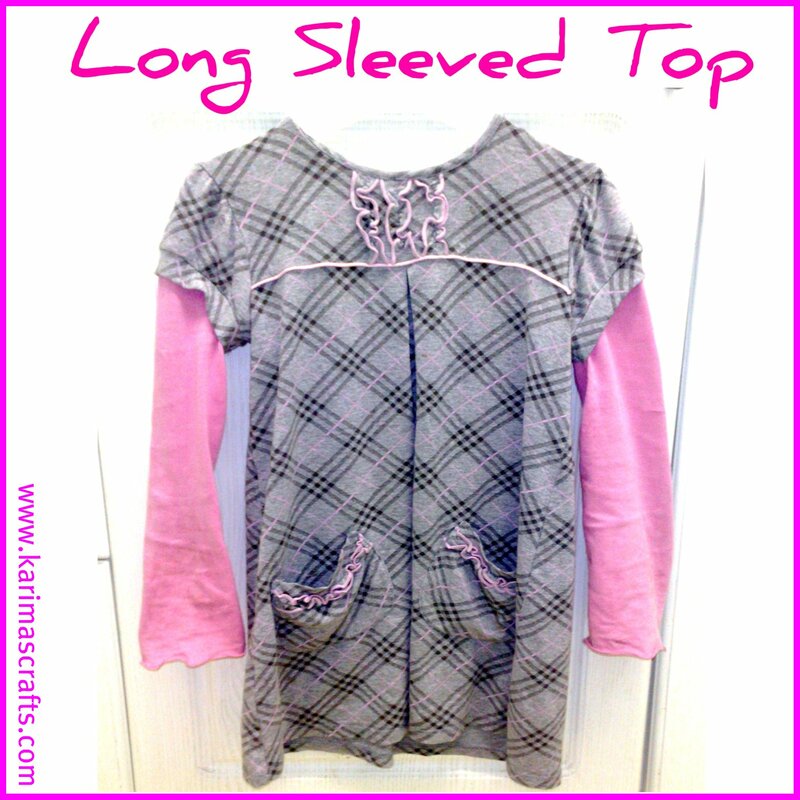 This week I have been busy adding some sleeves to one of my daughter's tops. She used to wear a top underneath this one, but as the warmer weather is coming, I thought it would be easier to have just one layer instead of two layers of clothing! 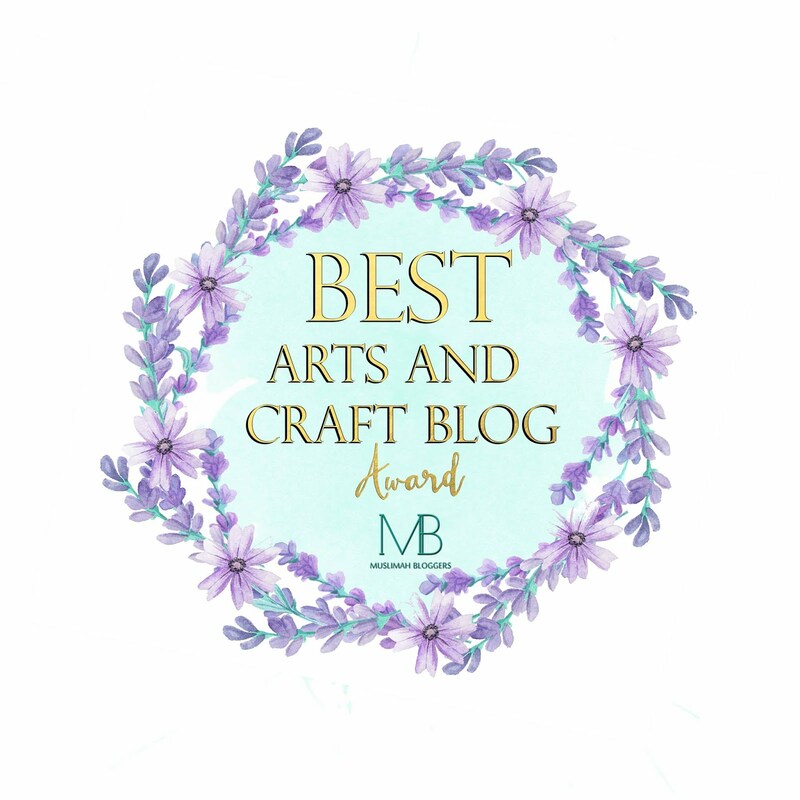 I have done this previously with clothes especially for my eldest to make sure her clothes are modest but still fashionable enough for her age! 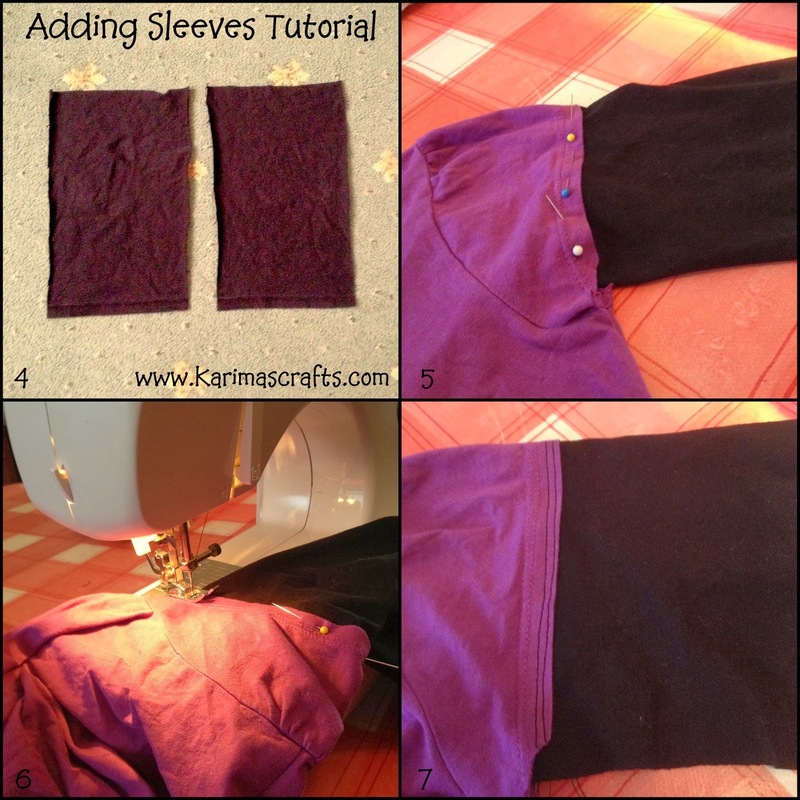 I thought I would take some photos this time to show you how easy it is to do this! 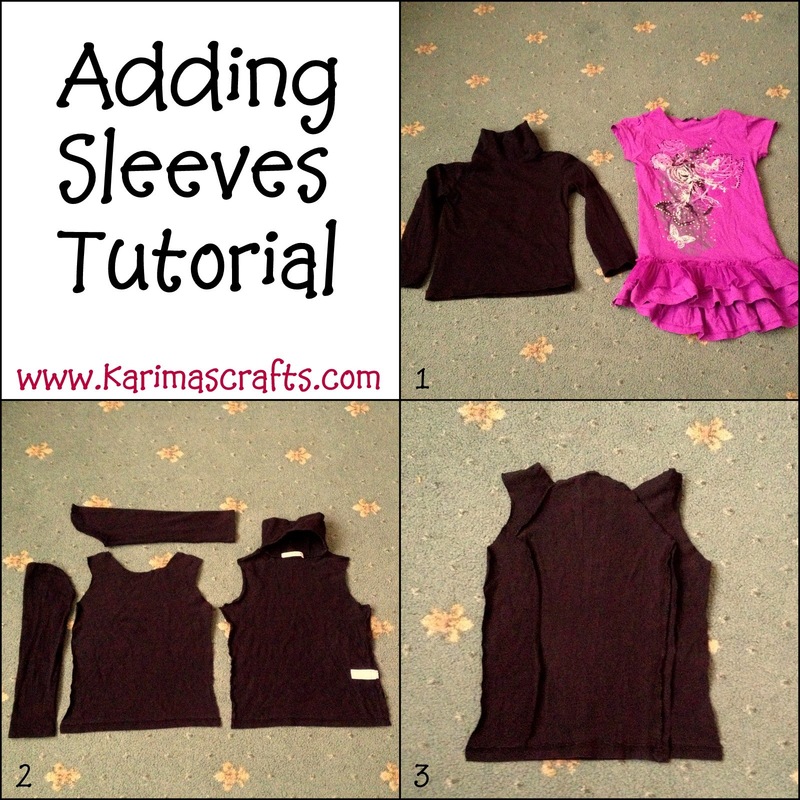 I used an old top which the sleeves were too short so instead of using the sleeves I used the body part of the top to make some sleeves. I made sure I use the bottom part of the top so that I keep the neat hem and saves me having to sew a new hem on the bottom of each sleeve! 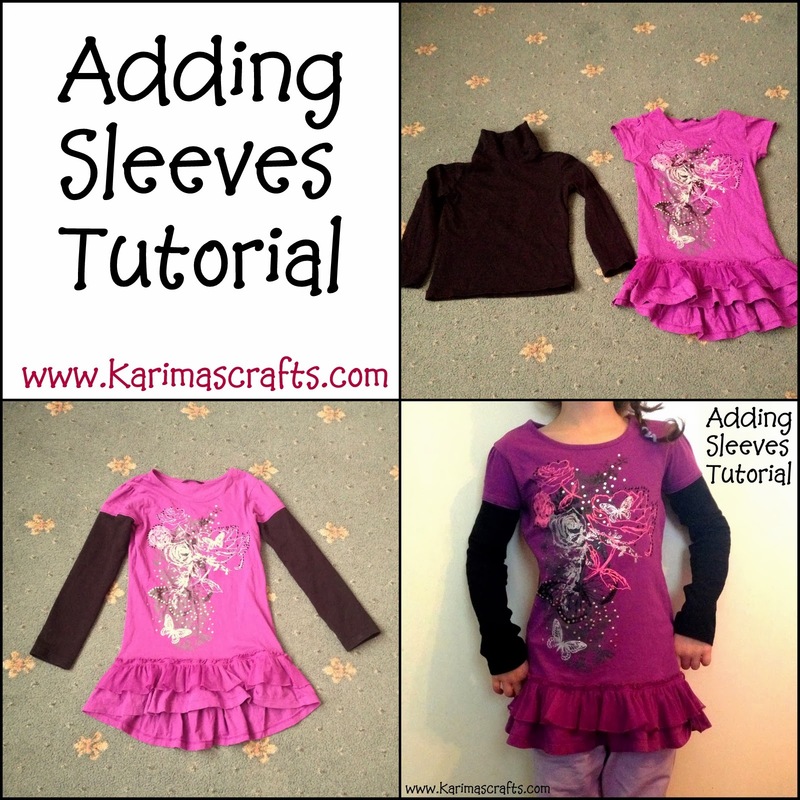 If you have some sleeves long enough then that would be even simpler to do! My daughter loves her new top! And is happy now not to have to wear several layers of clothes! 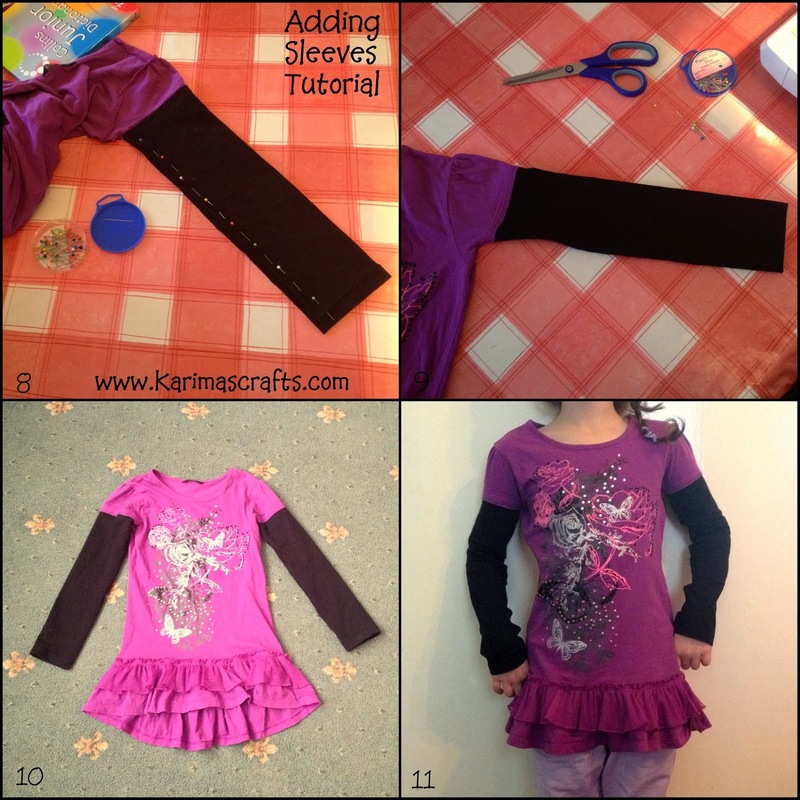 This is ideal for older daughters who are wanting to wear long sleeved modest clothing and not wanting to wear several layers of clothing to do so! Masha'Allah you are so creative.